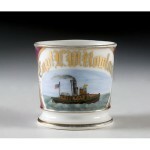 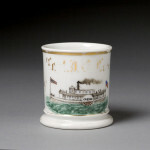 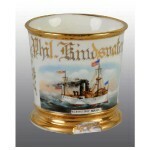 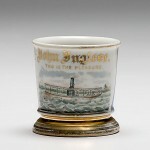 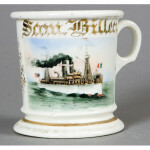 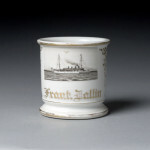 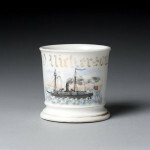 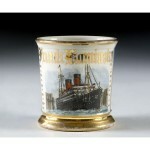 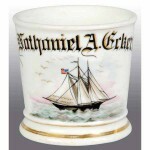 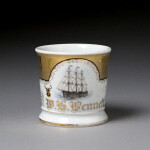 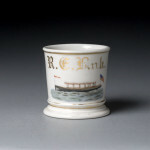 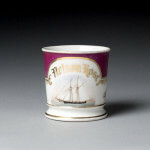 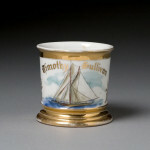 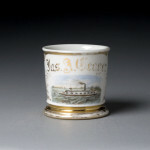 Shaving Mugs featuring images of Boats and Ships are highly sought after and are quite valuable. 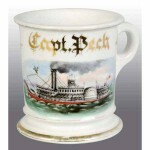 Many of these mugs were owned by Captains or ship owners, but others feature famous warships. 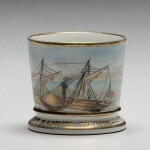 The decorators of these mugs did excellent work and the detail, color and action in many of the scenes make these mugs a real treat to see. 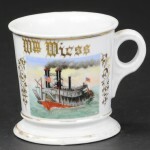 Values vary widely based on the ship depicted and what type it is, but overall this is one of the higher-end categories of Occupational mugs.